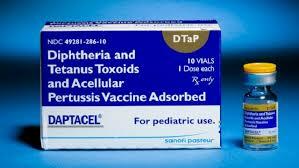 Homeopathy will treat a person with vaccine injury from DTaP, Hep B, HIB, Flu, Gardasil, Military, MMR and other vaccines. "Now 10 months later we are finished with our program and Trace is 100% recovered." "Trace was an incredibly easy, flexible, happy child. He was always smiling, in a great mood, very easy and flexible. If you asked him not to do something, he complied. If he couldn’t figure something out he would keep trying until he did. Everyone commented on how happy and easy he was. Because I work in autism research and have heard dozens of stories of vaccine injury, we chose not to vaccinate him. Around 3 years old he got a very deep cut and at the hospital the staff put the fear of God into my husband about tetanus. Against my better judgment, we decided to just give him the DTaP. I figured “It's only one, he’s 3 he’s strong, this can’t possibly cause an issue.” I was terribly mistaken. Within one week I watched him change dramatically. He started lining everything, and in size order. Toys, grapes on his plate, cups on a counter, foot stools, you name it. I would catch him doing this several times a day. He became sensitive to all noises: the microwave timer, hair dryer, dishwasher. He started covering his ears and complaining that everyone was too loud. He started washing his hands up to 10 times per day, and then started washing his Lego's because they felt dirty. He had to complete rituals, and after we put him to be every night he had to complete a 5+ step ritual that ended in him washing his hands repeatedly in his bathroom after we thought he was asleep. The mood swings were the worst! Crying, yelling, everything bothered him and caused a tantrum. He wanted to wear long sleeves in the Phoenix weather (100+ degrees). He became rigid, moody, negative, stopped smiling much at all, and was generally uncomfortable and unreasonable most of the time. I knew this pattern all too well after 16 years working with autism and tried everything. Naturopaths, immunologists, functional medicine specialists, prayer, you name it. The symptoms got a little better over two years, but were always there and cycled from okay to bad every few months. I searched and searched and found Kari J. Kindem, AIT, CFHom, CHP, CEASE Practitioner, Classical Homeopath at www.HomeopathyForWomen.org and learned about the CEASE protocol. I told her I tried everything and nothing made him the way he was before the vaccine. Her words to me were “Let's get your boy back!” and she meant it. We worked hard, cleared layers of damage before we started on the vaccine clearing. Then as we did the vaccine detoxification, old symptoms came back and then would disappear a few days later. Out of nowhere he started lining cups again. We saw an increase in sound sensitivity. Then once they went away, we started seeing more and more of old, pre-vaccine Trace. Now 10 months later we are finished with our program and Trace is 100% recovered! I had forgotten how sweet, affectionate, easy, flexible, kind, and happy he was. At his birthday party last month, his little brother popped this big Mickey Mouse balloon that played music that Trace loved. I braced for impact, thinking Trace was going to freak out and this would ruin his day. He looked at his brother, took a deep breath and said “its okay Tuck, look it still plays music!” I keep having moments like this because his moods for 2 years held us all hostage. Now I am remembering 3 year old, happy, easy, loving Trace, the boy that we thought we had lost forever, and I’m having to get to know him again, this time as 6 year old version of that sweet little toddler. He is now so affectionate, hugging my husband and I several times a day and others, saying “I love you so much Mommy!” which he stopped doing during the 2 years post vaccine. Kari delivered our son back to us, the way God created him to be before the toxic chemicals ravaged his body. Kari is talented, compassionate, very knowledgeable, and able to navigate very complex cases that require lots of thinking on her feet to find the right homeopathic remedies to use. We will never be able to repay her for what she has done for our son and our family. His life is forever changed because we put our faith in her ability to guide his body through the healing process. This protocol is intensive and you are required to give various remedies in different forms, often daily. You have to keep careful records, write reports, conduct skype meetings regularly. It is a marathon, not a sprint and you must commit to a minimum of six (6) months or more, financially, physically and mentally. She cannot help you navigate years of damage overnight, and needs you to be a present and reliable partner for this to be a success. If you cannot commit, don’t start this care plan as a few months will not change much. But if you are willing to run this marathon with her, your child’s life will be forever changed, and we would do it all over again to get the results we’ve seen today!"